The Children's Place Uniforms & Backpacks 50% off + FREE Shipping! Today only, save 50% off Uniforms and Backpacks at The Children's Place. Plus, shipping is Free. Head over to check out this Guy Fieri 10-Piece Nonstick Cookware Set for just $59.99 Shipped (Retail $199.99)! These are so cute! 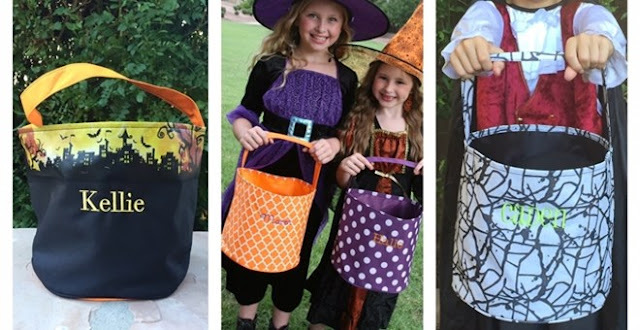 Head over and check out these Personalized Trick or Treat Buckets for ONLY $13.99 (Retail $25)! You will love these adorable TriCk-oR-trEaT buckets! Ready to be personalized with the names of your favorite goblins:) Choose from 4 fonts, 6 thread colors and 14 super fun designs. Collapsible for easy storage and sturdy enough to use year after year! Bucket measures 10" across bottom, 9 1/2" high (not including handle). Spot clean. Today, Save 50% on the Men's New Balance Lifestyle & Retro Shoe for $39.99 (Retail $79.99). Some exclusions apply! Discounts added at checkout. Hurry over and print $0.50 off ONE Bounty Basic Paper Towels coupon and then grab this deal at Target! Here's a great restaurant deal. 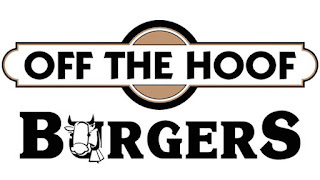 For a limited time, get $30 of Burgers and More from Off the Hoof Burgers for Only $15 with this Get My Perks offer. Promotional value expires 2/21/16. Limit 1 voucher per purchaser; 1 additional voucher may be purchased as a gift. Limit 1 voucher per table per visit. Tax and gratuity is not included. No cash back, no cash value. Kroger Free Friday Download August 21st! Here is another great freebie from Kroger you won't want to miss. Today Only, sign into your Kroger Plus Card account and get the Free Friday Download for (1) FREE Gatorade Recover® Whey Protein Bar 2.8 oz any flavor. Limit 1 per household.